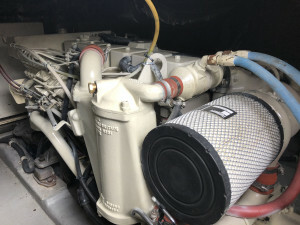 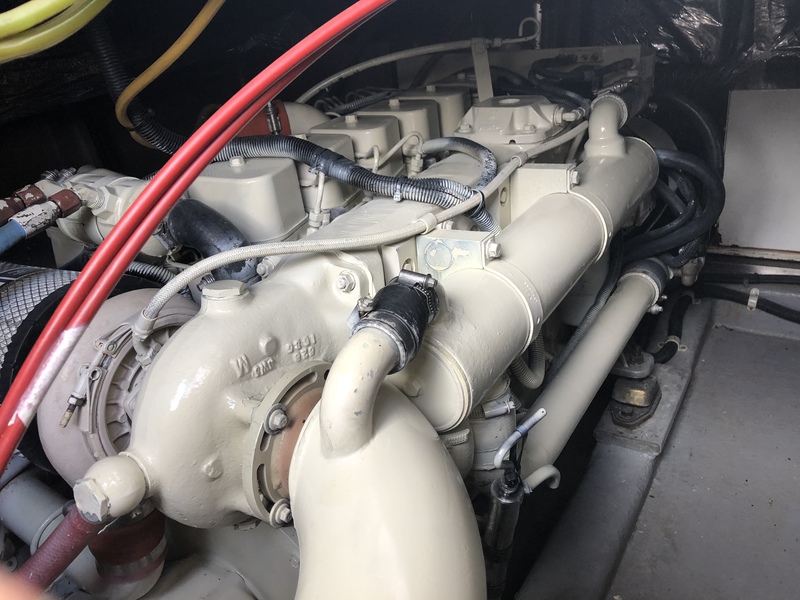 Riviera 36 Twin Cab in great condition for her age and recent overhaul service to the engines and low hours. 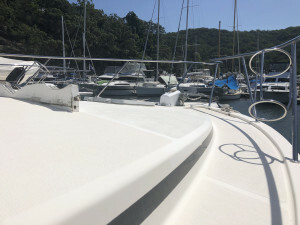 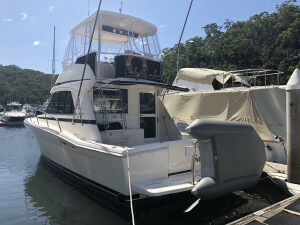 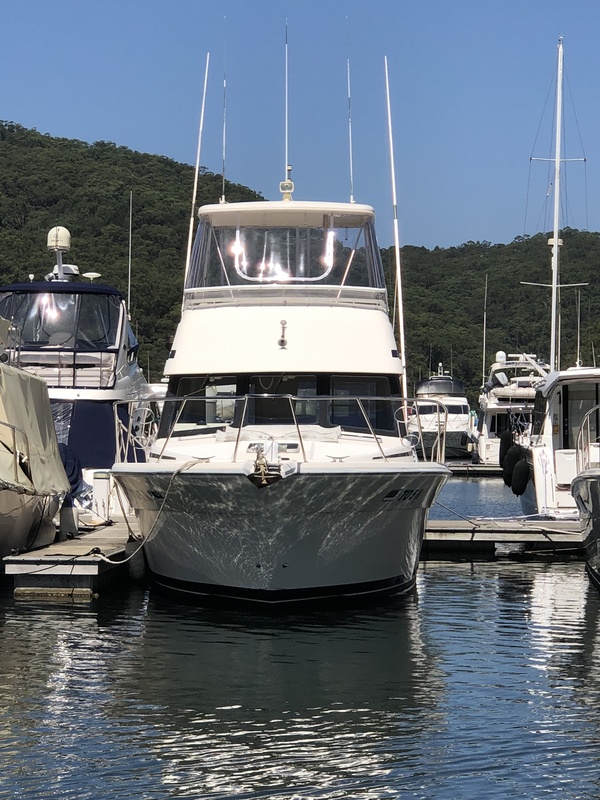 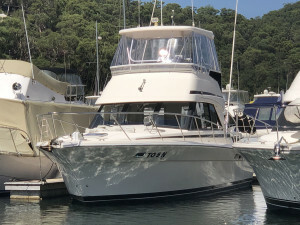 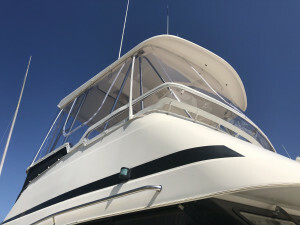 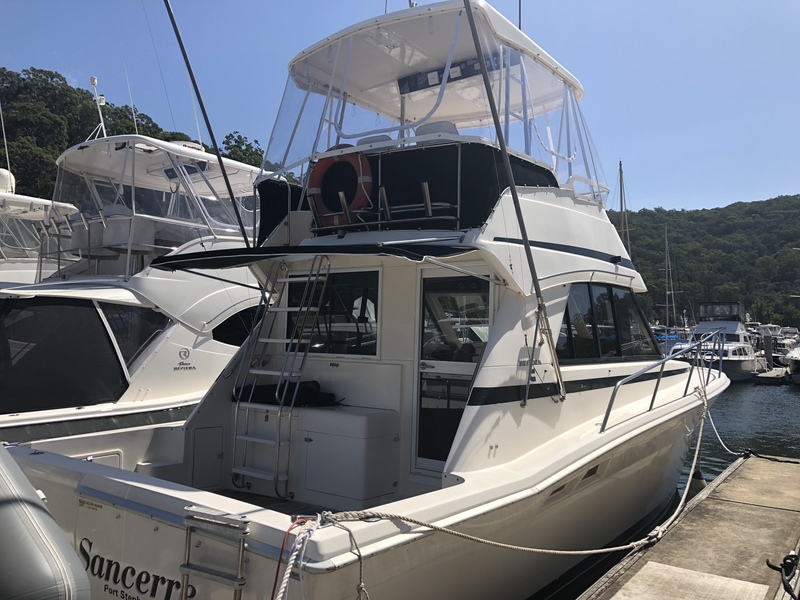 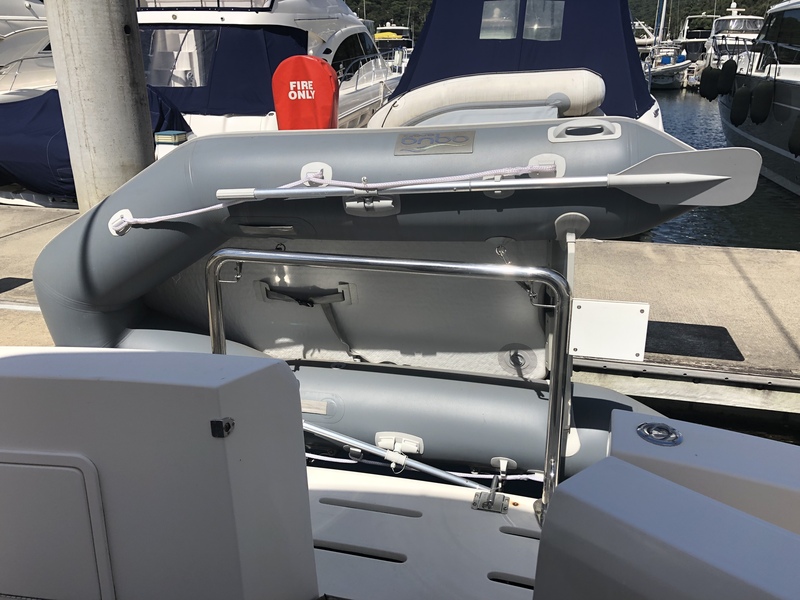 These boats are well designed and spacious for maximum enjoyment entertaining or fishing. 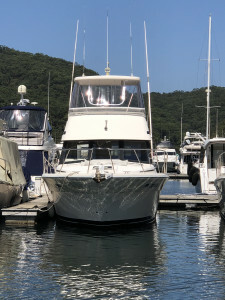 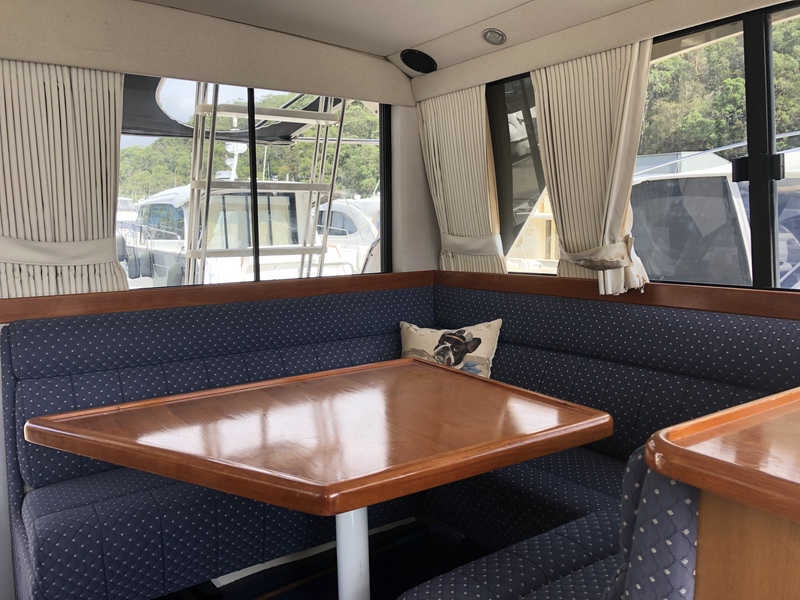 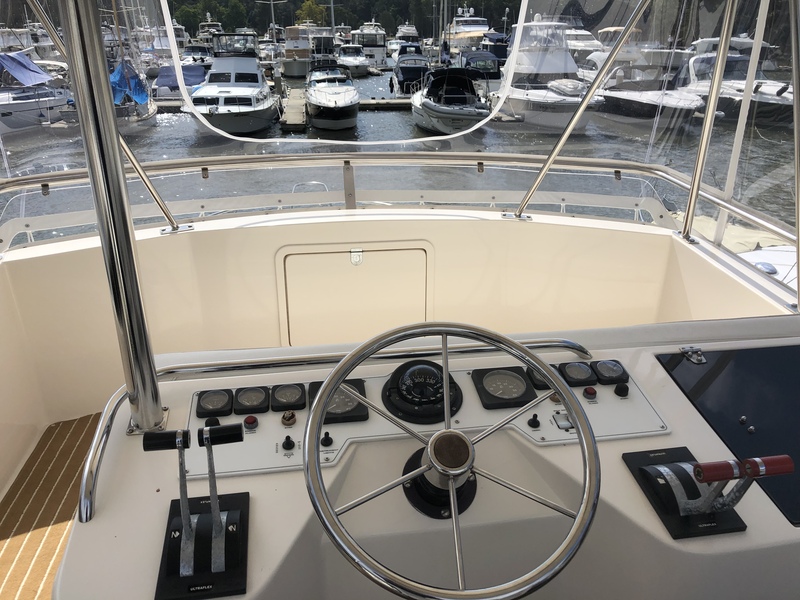 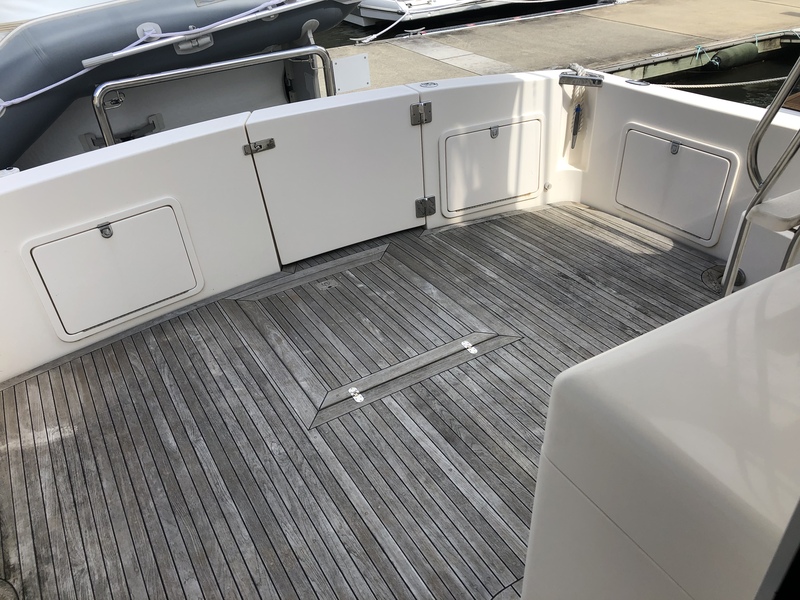 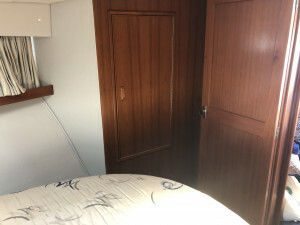 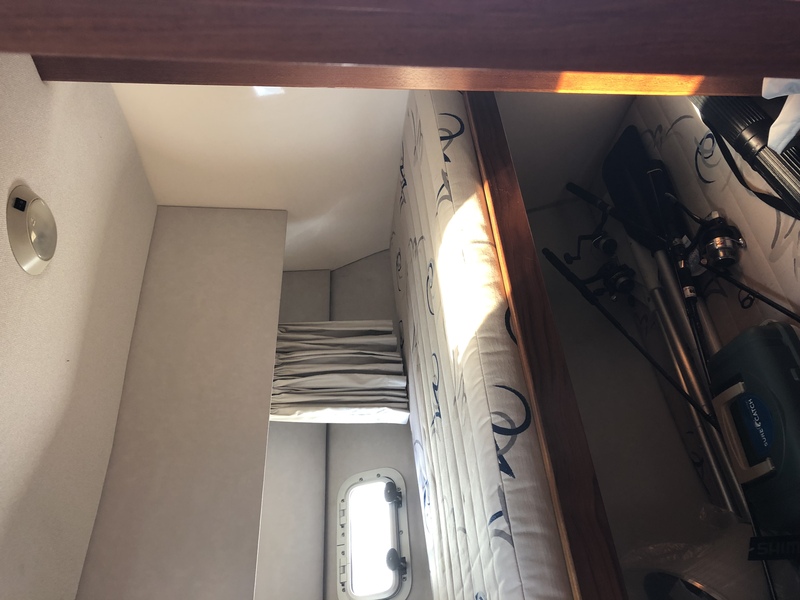 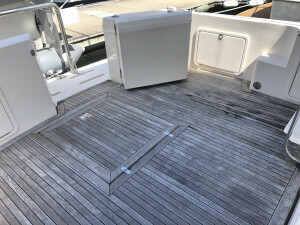 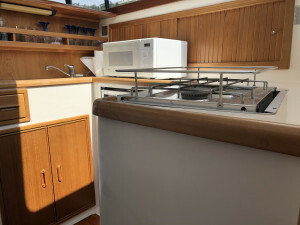 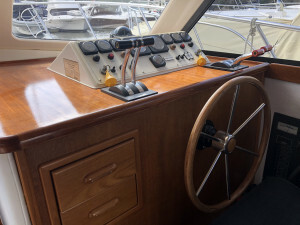 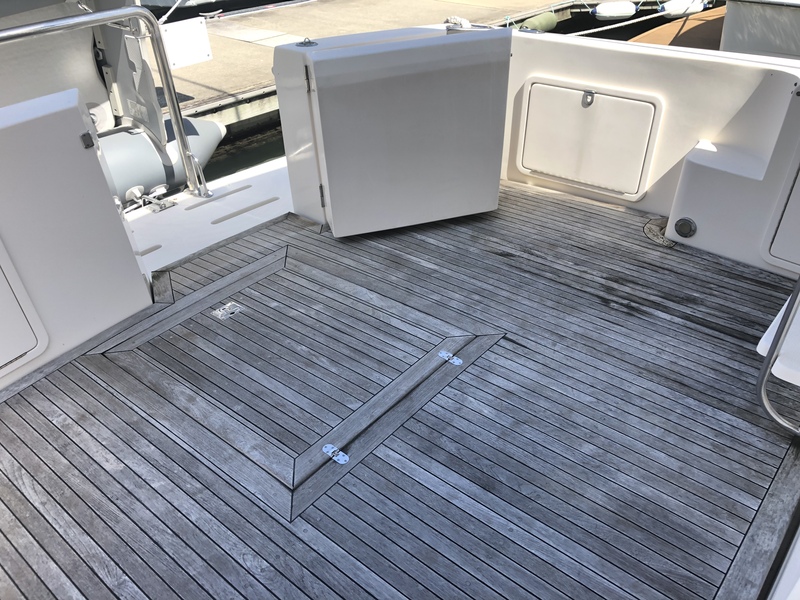 Spacious teak laid cockpit, good size flybridge with brand new carpet and clears. 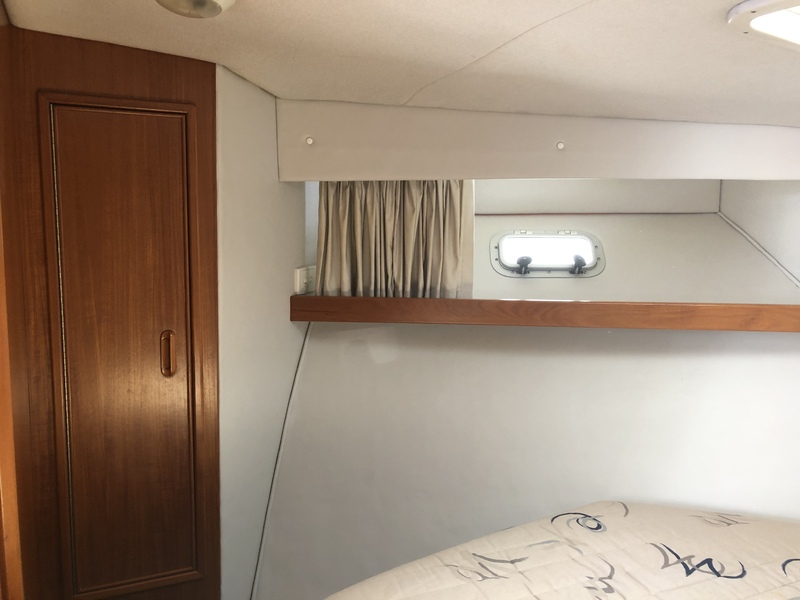 Island bed forward and 2 bunks in the second starboard cabin. 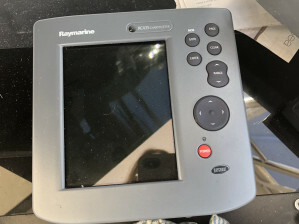 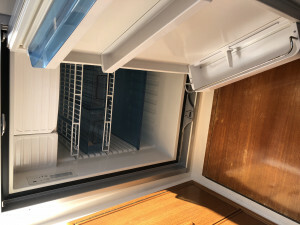 Electronic head with holding tank and a generous shower space. 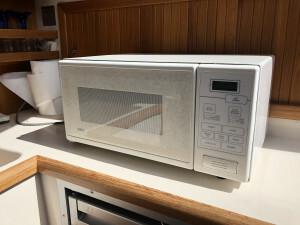 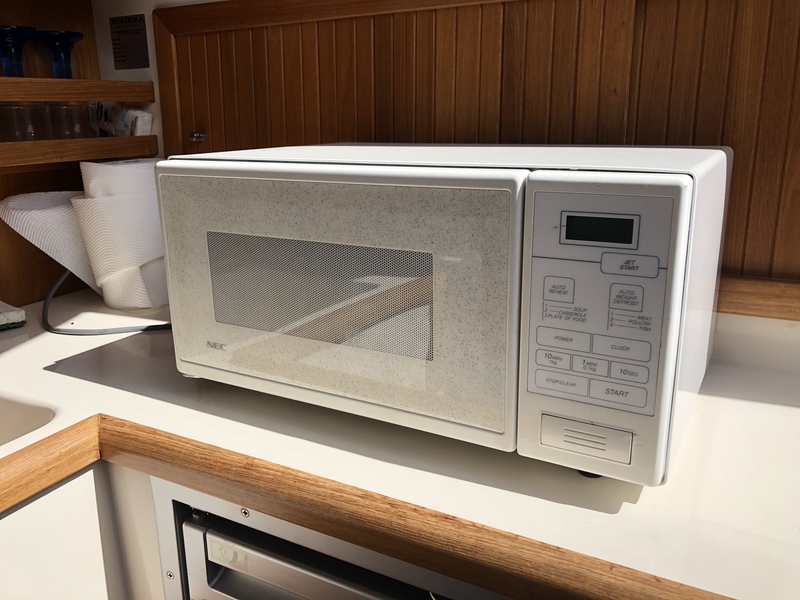 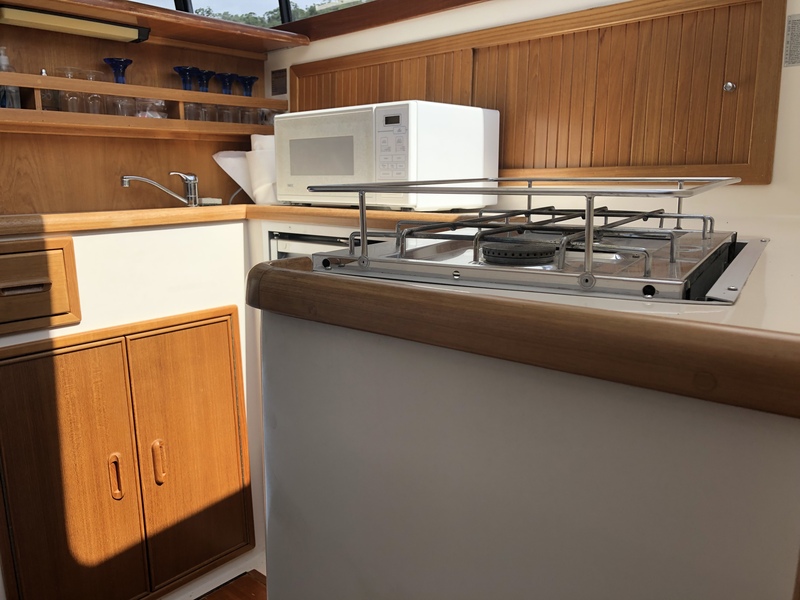 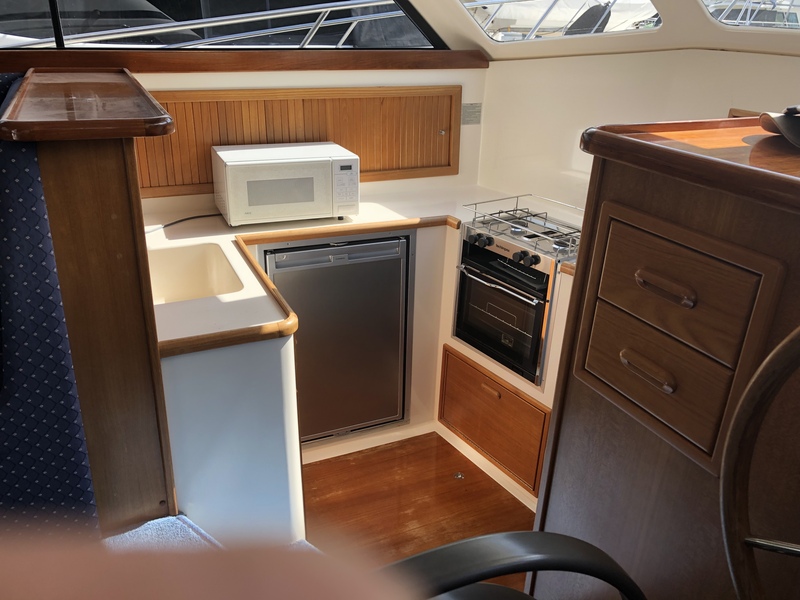 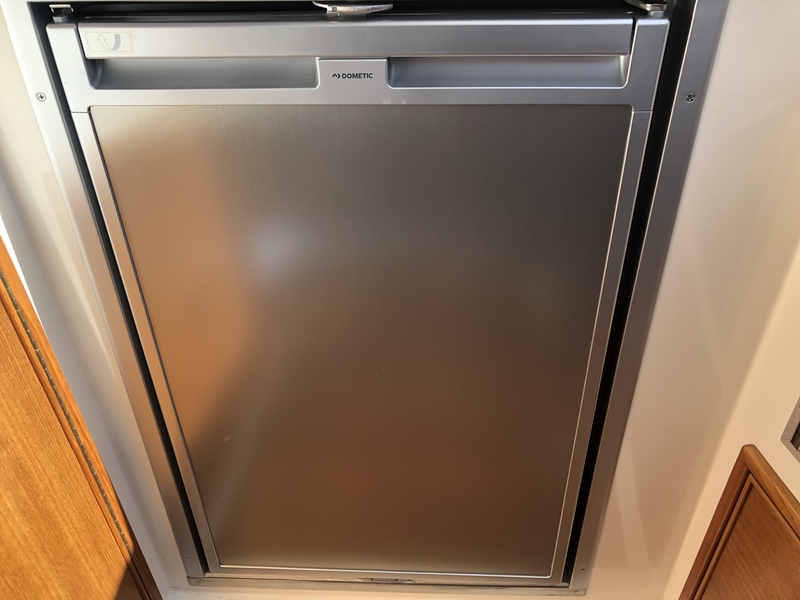 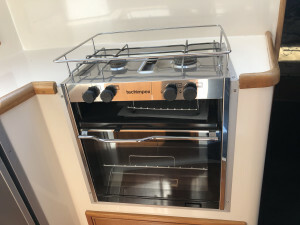 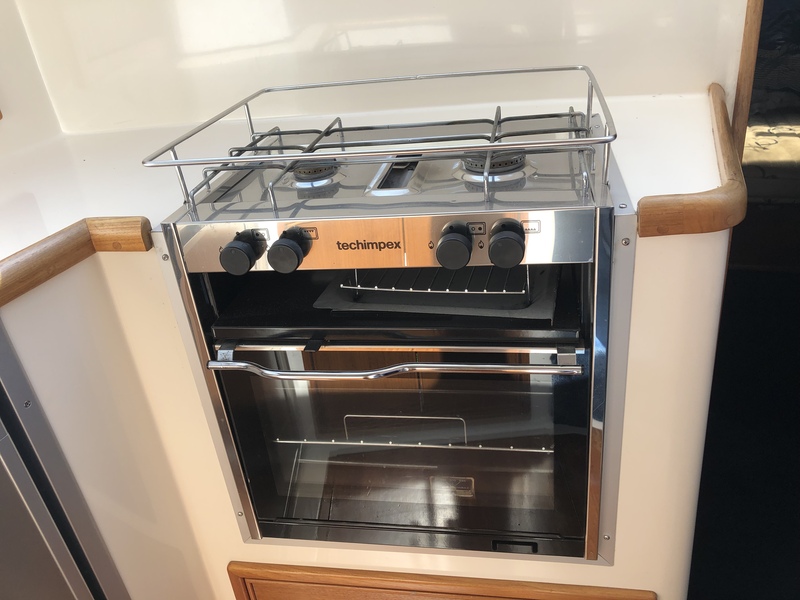 Good size Dometic fridge to the galley plus a two burner gas stove which appears to be hardly used. 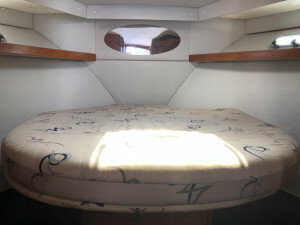 Neat and tidy upholstery to saloon and good quality curtains. Headlining all redone and sliding windows throughout the saloon. 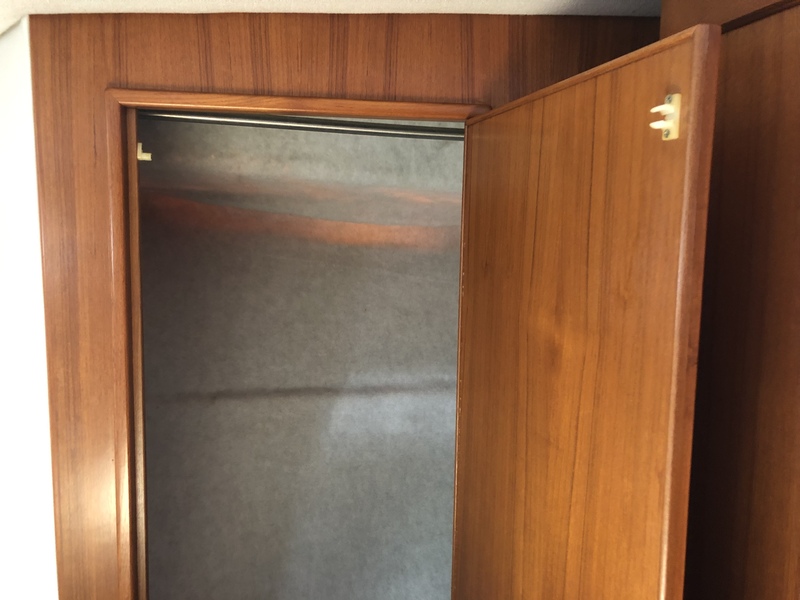 Great head height giving it a light and airy feel throughout. Good engine access from cockpit and comfortable walk arounds. 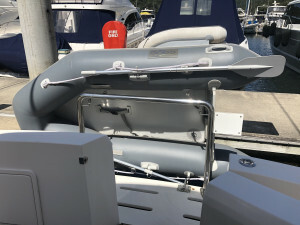 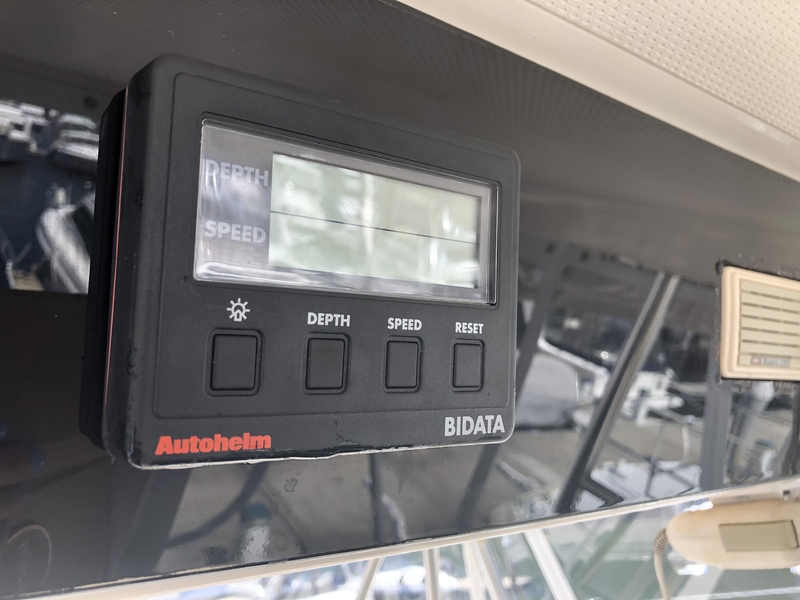 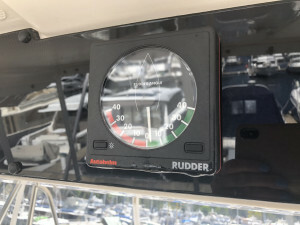 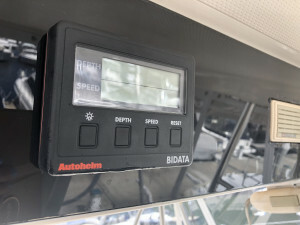 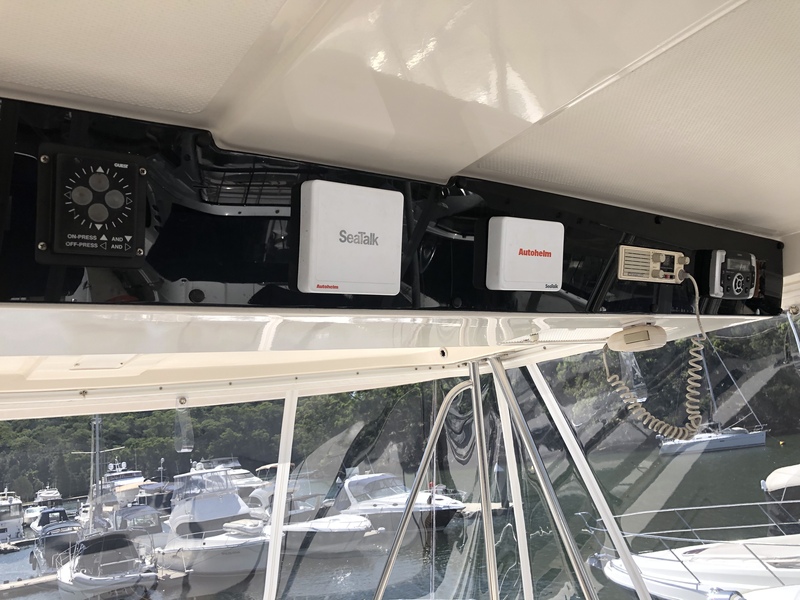 Tender on davit system on swim platform. 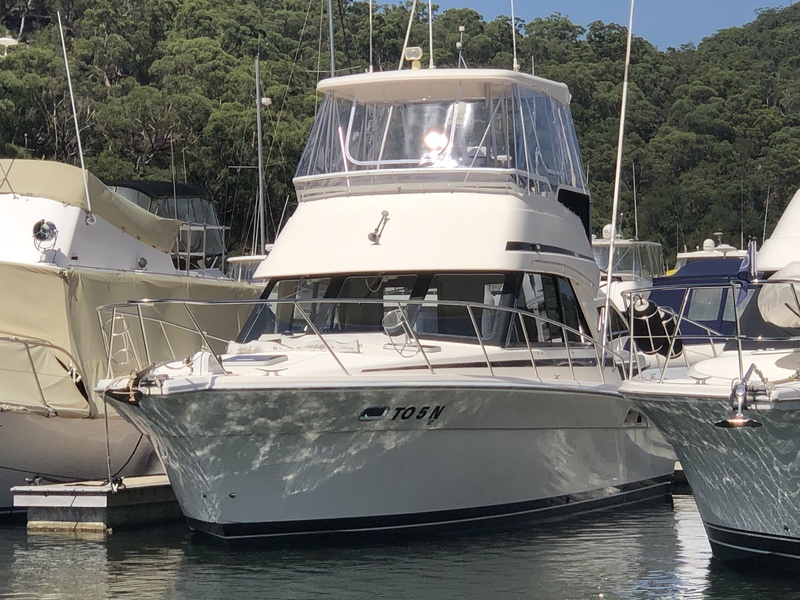 Arrange a viewing today at Bobbin head by calling us now.